I have been using Darlee Ann for massages for many years now. I suffer from chronic migraines with neck and back pain from a previous injury in my veterinary work as well as rheumatoid arthritis. Darlee Ann’s expertise has helped lower my pain, the frequency of migraines, and has reduce my need to use medications to control the symptoms of these diseases. I am also a competitive curler and Darlee Ann’s background in sports massage helps to keep my muscles and joints mobile and flexible for my time on the ice. Her own sports background gives her the advantage of designing a customized massage based on your sport or activity . I highly recommend Darlee Ann to anyone who has any pain, muscle tightness, or simply needs a wonderfully relaxing experience to improve your overall health. Growing up I played AAA and Junior Hockey that left me with two separated shoulders and extremely tight hips and lower back. 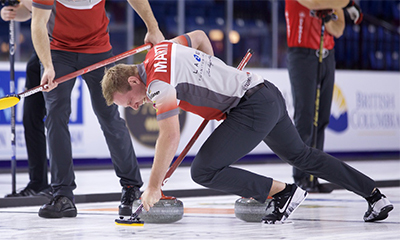 After Hockey I became wrapped up in the sport of curling which involves much more flexibility. DarleeAnn has not just used massage therapy to keep my body loose and feeling great, she has also helped increase my range of motion and ultimately improved my curling delivery. She has been a huge part of my success on the ice in the Grand Slam Curling Series and most recently my success in the Season of Champions playing in the Tim Horton’s Brier for Team Alberta. DA is a great massage therapist and is extremely professional and knowledgeable. She has been treating me for the last 2 years and she has really helped to reduce the chronic pain & tightness in my legs and lower back so I can keep playing hockey, curling and golf. Seeing D.A, on a regular basis has been so helpful and I would highly recommend her. In my 28 year dental career, the physical demands & repetitive stresses on my neck, back & shoulders have taken their toll. My days are spent standing, bending and twisting for extended periods of time while working on my patients. DarleeAnn has the medical/physiological knowledge and intuitive ability to find my areas of chronic pain and muscle tension. This provides me with the relief that I need. Due to the heavy demands of my schedule, it is reassuring to know that I can count on DarleeAnn for expert care. Without DarleeAnn, I would not be able to function and continue with my career. In 2011, I had surgery at the end of the season after a tendon dislocation in my right ankle. Although I had a successful surgery, my ankle was very weak & was really tough to skate. I ended up missing the start of the season & when I returned in December & just after four games, I injured my knee. Needless to say, this was extremely frustrating as I was just starting to gain momentum for the next part of my career when this injury happened. It was difficult to stay positive as I worked on getting stronger. Fortunately, I saw sports massage therapist, DarleeAnn Mathieson once a week for a 4-month period. She helped me keep my muscles loose & flexible between games & understood exactly what I needed. I was able to return to the line-up for the rest of the season relatively pain-free. It sure felt good to be out there. I’m excited that I have the confidence to return to the game next season fit, healthy and game ready! Thanks DA for all your help making me feel great! DarleeAnn is one of those rare people with an excellent work ethic and passion for what she is doing. As someone who lives a very active lifestyle, I am more than confident in her skills as a sports massage therapist. She has incredible people skills and the ability to make her clients feel comfortable instantly. Her treatments are both relaxing and therapeutic – truly the perfect combination! I look forward to my appointments with DA. 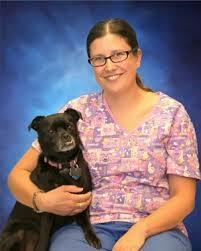 She is a skilled therapist willing to troubleshoot sore spots and provide appropriate treatment. I always leave feeling fantastic! The hour massage is a great mix of chit chat at the beginning to catch up with each other followed by focused quiet therapy. For years I’ve been suffering with neck and shoulder pain. Being a dental hygienist I suffer with occupational hazards. Couple that with a fairly active lifestyle on the basketball court and introduce volleyball. DarleeAnn has been working with me for a couple of years. She knows exactly the areas that need to be worked on. I always walk taller and straighter after her therapeutic massages. She has become a favourite on my phone. As a tradesman and active individual I abuse my body on a regular basis. Over the past several years DarleeAnn has helped immensely in treating minor aches and pains as well as more significant issues. Her knowledge & passion for what she does comes through in every treatment. I highly recommend her to anyone looking to treat, or more importantly, prevent future injury. 5 stars. I was recently involved in a car accident and was diagnosed with whiplash which resulted in stiffness and pain in my neck, mid and lower back. Being that I am a fairly active person, this injury was distressing both physically and emotionally. My symptoms caused me to curtail some of my normal activities (golf, exercise, gardening) and caused disruption to my sleep patterns. After a series of therapeutic massage sessions with DarleeAnn and physical therapy I am back to my regular activities. The pain and stiffness in my neck and mid and lower back are gone, and the muscles are in better shape than they were before the accident. The biggest difference on a daily basis is increased range of movement and better sleep. Thanks DarleeAnn for all your help. I met DarleeAnn while working at a Physiotherapy clinic. We shared many patients and together were able to rehab them back to their optimal health and well-being. We have since parted ways from the clinic, but I continue to recommend DarleeAnn to any of my patients looking for a massage therapist. She has a tremendous ability to sort out chronic pain and headaches. For example, a patient of mine that had many years worth of shoulder pain due to a rotator cuff strain had tremendous relief after seeing DarleeAnn. It was wonderful to have the professional collaboration and another point of view to aid in the diagnosis. I have full confidence that whomever I refer to DarleeAnn is in great hands and that she will be able to assist in their recovery. Kathryn Caldwell BScPT, Med. Acup. DarleeAnn was a key component to our team winning the Scott Tournament of Hearts in 1998. She was part of our medical team to make sure our bodies were ready for every game. She was able to give me some relaxation at night to be able to sleep well and be ready for the next day. DarleeAnn is a keen massage therapist willing to do whatever it takes to help her clients. She can work with anyone in any situation and that’s why she’s highly recommended. After suffering a debilitating back injury due to a severe car accident in 2005, Darlee Ann has been a crucial component in helping me on the road to recovery. Her knowledge of athletic injuries and rehabilitation has been an asset in helping me get back in the saddle again. Having suffered with back problems for years, I finally ended up with sciatica. DarleeAnn was my therapist and her treatments not only elminatied the pain of my sciatica but also gave me full mobility in my neck which I hadn’t had for years. DarleeAnn was extremely aware of my hobby and passion (dressage riding) and shared my desire to return to it. She educated herself on the sport so that she was able to understand how muscle movement was straining and tailored her treatments with that in mind. She also was very conscious of how deep the treatments could be and connects with the client to ensure treatments are successful. Darleeann is very professional, and takes the time to interview her clients and treat everyone individually. I can tell you my horse noticed the improvement as well! DarleeAnn was an Angel of Mercy the day I awoke with severe back pain after an injury in rehearsal. Not only was her skill as a therapist able to relieve much of the pain, but she made the extra effort to get to me at my hotel that very afternoon. I am forever grateful for her care. I first met D.A. in 2009 when my curling team was competing in the Olympic Trials in Edmonton. D.A. was recommended to us by a fellow competitor and she proved to be an important part of my performance. Although we lost the final game, D.A. had me in sweeping and throwing shape throughout the event and I trust her implicitly to work on me during the most competitive of events. D.A. continues to contribute to my performance at provincial championships and is everything you want a sport sciences support to be: a good listener, always on time, flexible and most importantly, a wizard with her hands! I would recommend her services to everyone from the business person to the athlete! Due to the rigorous schedule of training & competitive events, I know the importance of regular sports massage treatments and how they keep me at a high performance level. Maintenance massage has been an integral part of addressing the mechanical overuse in my legs and shoulders. While on the table, DarleeAnn knows exactly what muscle groups are overused and what techniques are needed. It is comforting and reassuring to know that the nightly massage treatments I receive allow me to completely relax & have a restful sleep. DarleeAnn Mathieson has been part of my massage maintenance program for the past six years. Ongoing treatments have allowed me to perform optimally thru the entire season and peaking into year-end tournaments & competitions. I can count on DarleeAnn’s massage expertise to have me game ready at provincial, national and world championships right from day 1 through day 10. DarleeAnn Mathieson is not only our client who comes to Jack for targeted fitness training and nutrition coaching to keep her in tip-top shape for her physically demanding profession as a sports massage therapist but she is also a friend too. It was evident from the beginning with us both having had our very first sports massage from DarleeAnn, that she knows her craft and performs her service at the highest level. We are top-placing masters athletes in the sport of natural bodybuilding and both work 6 days a week as fitness and nutrition lifestyle coaches, which requires us to be physically fit at all times in our work with our clients.She seems to know intuitively exactly what areas are tight and uses some great skill in a variety of techniques to unwind some chronically tight areas in the both of us. She’s also very knowledgeable about anatomy with having worked on many different athletes at the professional level. It is a joy to work with her as her as her trainer to keep her fit but it is reciprocated to us when we visit her for our massages – it is a treat we always look forward to! It’s a win-win all around – we keep DarleeAnn fit for her health profession and she keeps us finely tuned with sports massage to keep us healthy, active and vibrant so we can serve our clients well in our health profession. It is with great enthusiasm and conviction that we would recommend DarleeAnn Mathieson’s services as a Sports Massage Therapist.